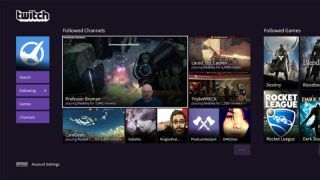 The live-streaming platform Twitch is rolling back its ad-free streaming options, following a blog post detailing upcoming changes to Twitch Prime accounts. As of September 14, Twitch Prime users will start seeing pre-roll, mid-roll, and display ads while watching broadcasts across the streaming site, which was bought by Amazon in 2014 and now attracts over 15 million daily users - largely for live-streams of video-game playthroughs and esports events. Those with Amazon Prime accounts automatically get access to Twitch Prime benefits. There is, thankfully, something of a workaround. Monthly or annual subscribers will only start seeing ads come in after their next renewal date, so renewing before September 14 will net you either a month or year of ad-free streaming - even if it only postpones the inevitable. The announcement comes only days after Netflix started testing skippable adverts between televisions episodes for a small number of users, albeit only for other Netflix content. The change is likely to rile some customers used to their current levels of privilege, which also include free monthly games for download and in-game loot for the likes of Fortnite or Hearthstone. Twitch, however, called the wider presence of adverts “an important source of support for creators who make Twitch possible”. Those really flinching at the idea can upgrade to the Twitch Turbo subscription, which retains ad-free viewing alongside more emoticon options, custom username colors, and cloud storage for your own broadcasts for up to 60 days.